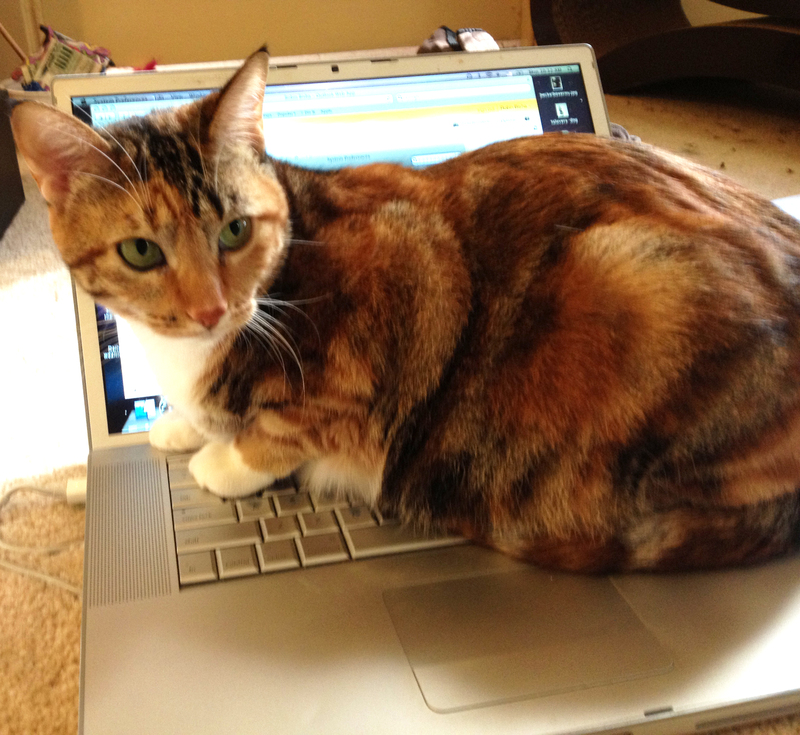 Cheshie just appointed me publicity kitty, and I want you to know WE’RE ON MOUSEBREATH! Funny Farmer Felines interviewed us and made a CUTE PICTURE of ME, Cheshie and Karma. I LOVE talking to our fans about Cheshie and Mom and ME! We also get a CUTE BADGE to put on Cheshie’s blog! 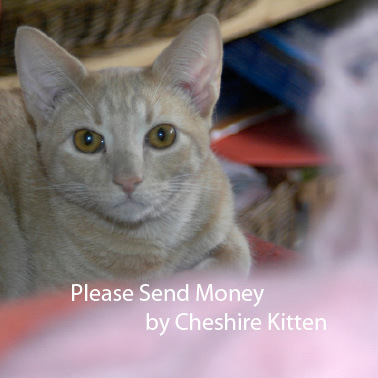 The interview mentions Cheshie’s book, Please, Send Money by Cheshire Kitten. If you want to buy the book, stop by Cheshie’s shop on ArtFire. Mom’s also got some art there. She’s pretty good, although she doesn’t draw ME often enough. Cheshie also talked about Buddies! magazine, Mom’s project. I don’t know if she’ll ever get as popular as WE are, but she’s trying. Buddies! will be available in September as a print-on-demand magazine or a download. 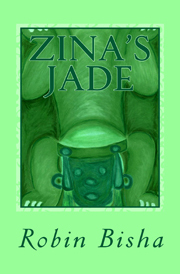 Generous donors have contributed to allow her to print copies to give to new dog and cat adopters! She has some great people working with her on this project, so we have high expectations! We’ll let you know where to find Buddies! when the issue is published. What a great article on Mousebreath. Good for you three, but what about the rest of the household? 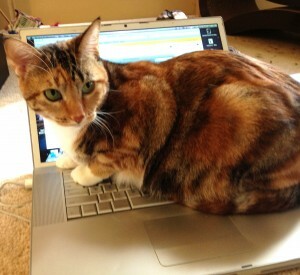 We saw you over at the FF and Mousebreath so we all thought we’d stop by and say “meow”! Hey guys! We just saw your interview over at Mousebreath and we don’t think we’ve ever met you! Well now we have! Glad you stopped by and gave us a meow! I think we may not have tried flounder, actually. I did reject a shrimp last week.